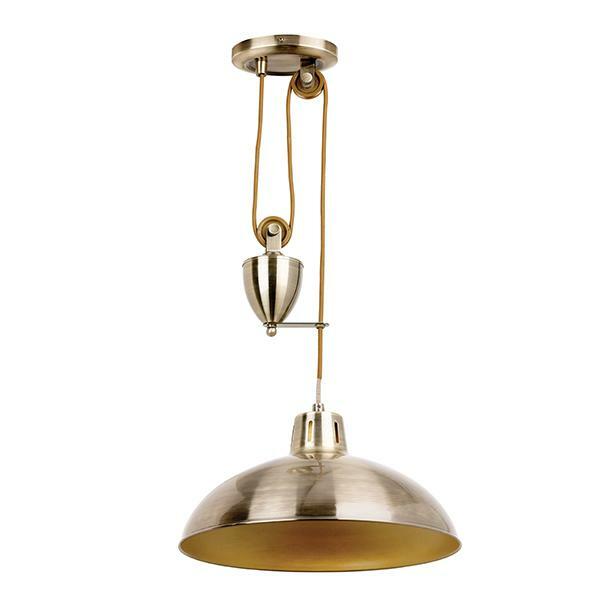 A rise and fall ceiling pendant with an antique brass or satin nickel finish. Height of the light can be adjusted after installation from 92 cm minimum and has a maximum height of 198 cm. 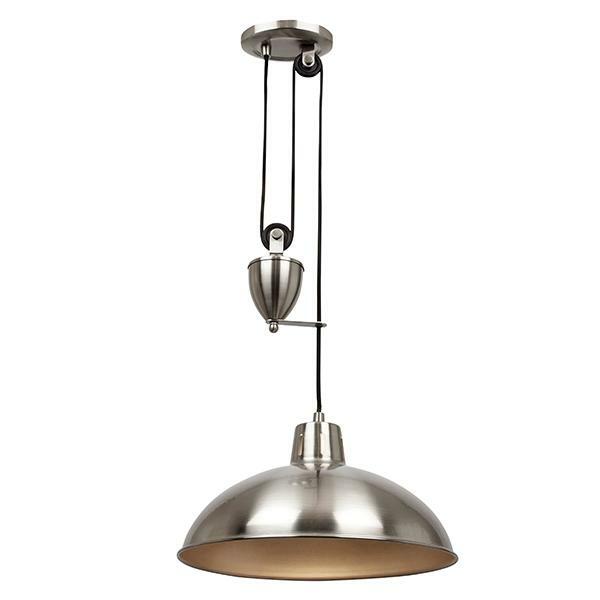 For rooms with higher ceilings and for use in dining areas.